How will a dying patient in a hospice take his revenge? 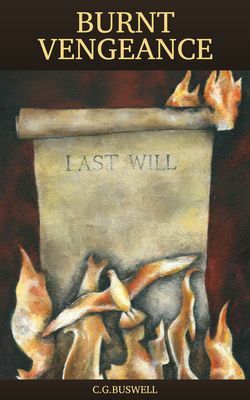 What are his final wishes and what will his solicitor reveal when she reads out his Last Will and Testament? Buy on Kindle and Other Devices. Andrew listened to the laboured breathing of his best friend, hoping that each would be his last. He wanted his friend to die in peace and to pass away quickly. He hated seeing his pal of thirty years struggle on, gasping for breath like a landed fish floundering helplessly and clinging on desperately for life. Yet he inhaled again, that raspy, deep chested, rattling sound that was overheard above and in sharp contrast to the gentle and constant sound of the oxygen piped through from the wall behind David's bed. Andrew shivered involuntarily, he had come to loathe both sounds and knew that when he came to rest his head next to his girlfriend again tonight that he would hear all these sounds in his sleep, as if his chum had come to rest by them. It had worsened with each daily visit, as if David was morbidly rattling some chain links attached to his bed. He looked drained of blood. He had the grey pallor of the dying, the shade that made people take a startled step backwards upon first seeing the person. Until shame and relief that it was not them caught up with the viewer. Andrew didn't want to reach out and take the weak, cold, clammy hand of his life-long friend, but forced himself to hold it. He had to appear normal to his dying friend, despite his sins. He silently judged himself and found himself guilty. It ate into his soul, crumbling his consciousness with each bite, devouring his humanity like a tasty morsel. David felt the loose, comforting double tap on his hand, a habit his chum had developed over the last few days, just before holding his hand in friendship, as if already saying goodbye. David returned the handhold by first two gentle, but weak taps before gripping Andrew tightly, or as tight as he could in his cancer ridden weakness. 'Promise me again,' cried out David in despair before a wracking coughing fit engulfed him as he forced vital air out of his eaten-away lungs. As always, he secretly cursed his chum for introducing the habit of smoking after their Friday night Boy's Brigade fun. He'd sneaked two cigarettes from his father's packet, along with a small box of matches from his mum's knick-knack drawer that everyone has in their kitchen. Andrew had wanted to share this new experience, like all new experiences throughout their lives, together. In unison, they had taken a long draw of the cigarette, thinking that they were cool. All illusions of looking suave and mature for their young age were swiftly shattered as they bent over coughing, gasping for a lungful of fresh clean air, as if they were two old men in a chest unit of a hospital. But it had not stopped them trying them again and again until both became twenty a day addicted men. David was glad that his friend had not developed lung cancer like he had. Andrew had the greater inner strength of the two and one day had decided to stop smoking in his early twenties. David, as always, admired the resolve of his friend and wished that he could have done so as well. No matter though, he had loved this man's company for over thirty-five years. He would be glad of his life time of friendship until he took his dying breath, which he knew would be any day now. As he struggled to catch his breath he reached for his oxygen mask and tried to take in its life-saving gases, knowing that this was only prolonging the inevitable. He flailed his free arm helplessly in the air. Andrew recognised the sign and took his hand gently from the grip of David and reached for a tissue and placed it in David's hand, careful not to get snagged onto the intravenous tubing that pumped in his morphine at a steady rate to keep his best friend as pain free as possible. With his other hand, he reached out and took the oxygen mask from his friend's withering hand, his finger bones were prominent in folds of skin, protruding out like skeletal talons on a re-animated corpse. It would not be long, he thought selfishly, and soon David would die and he could get on with his life with her. Guilt swept over him and engulfed him like a tsunami hitting a beach, threatening to wash him violently away in its wake. He must stop this dark train of thought as he knew that love must conquer, what started as lust had blossomed into mutual love and no-one must take this chance of happiness away from him. He swayed his guilt over Sandra by concentrating on the job at hand as he held the oxygen mask away from his friend's face so that he could spit into the tissue the dark bilious matter that he coughed up from the depths of his stomach and lungs. In a well-drilled movement, he replaced the mask and took the soiled tissue, absently folded it, as if not wanting to see physical evidence of the cancer he knew he was responsible for, and popped it into the bin by the sink. David started his raspy coughing again, only this time there was nothing to cough up and he didn't need his oxygen mask moving away. Instead he clung to it like a shipwrecked sailor to some drifting flotsam, hanging grimly for dear life. His coughing developed into laughter. David's laughter grew deeper and throatier, the cackle of a life-long smoker that only stopped when the coughing started again and took over. Andrew sat patiently waiting for the coughing to subside, it took several minutes, the silence, but for the distressing hacking, became a huge gulf between the friends.